Thank you to the WineAmerica members who donated wine to the event! Including: L’Ecole No. 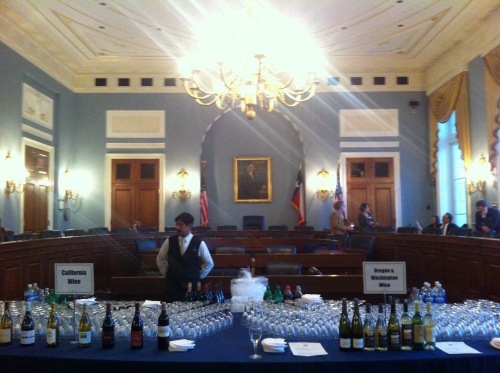 41, Maryhill Winery, Adelsheim Vineyard, and Wooldridge Creek Winery. 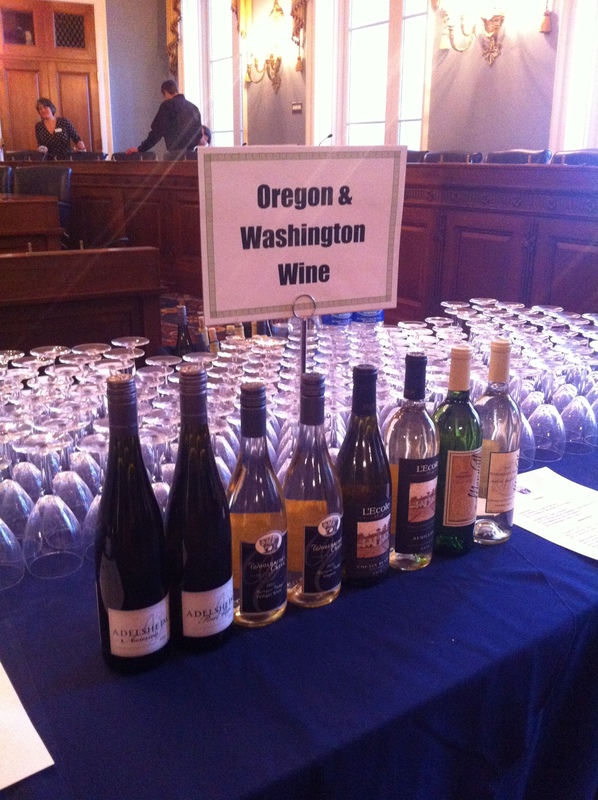 WineAmerica partnered with the Wine Institute, the East Coast Shellfish Growers Association, and the Pacific Coast Shellfish Growers Association to host this unique event for members of Congress, their senior staff and other invited guests. 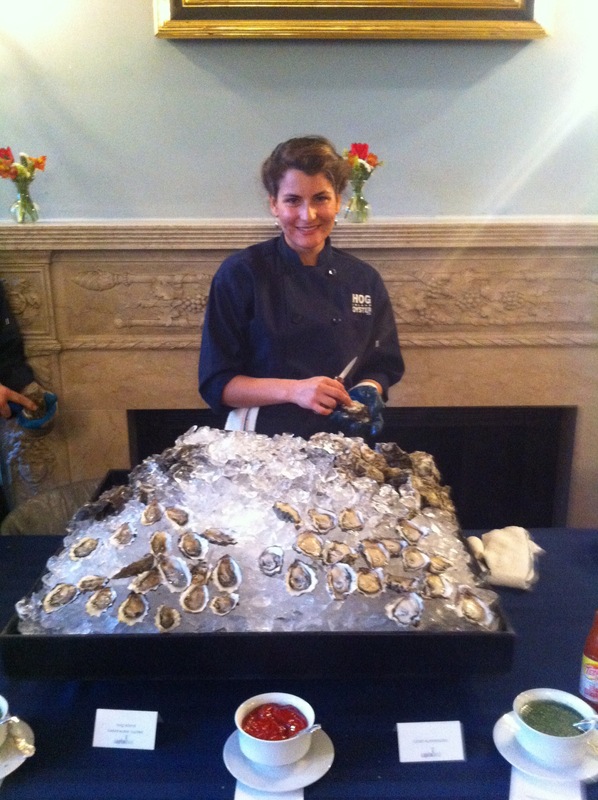 Wine from California, Oregon and Washington was paired with oysters, mussels and crab cakes. 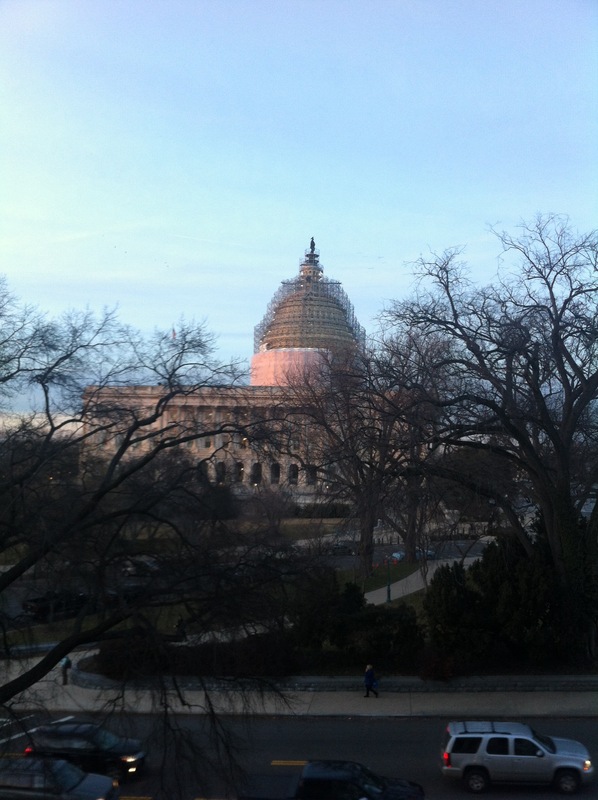 Representing craft products to policy makers is central to the WineAmerica’s mission.